As an artist, I want to help you discover your true authentic voice. I'm a vocal performance Berklee College of Music graduate, and former top 20 contestant on NBC's The Voice. I believe, as artists we crave real life advice and experience and I want to offer just that. I've been working as a professional session vocalist, songwriter and performing weekly with live bands all over Los Angeles. I believe the voice is a very strong, resilient muscle but must be taken care of with daily practice. Greylyn delivers an exceptional lesson experience and ranks in the top 15% of our teachers nationwide. I am a professional singer/song-writer. I graduated from Berklee College of Music with a focus in Vocal Performance. Over the last ten years, I have been performing all over Los Angeles, Boston, Florida and even Hawaii. 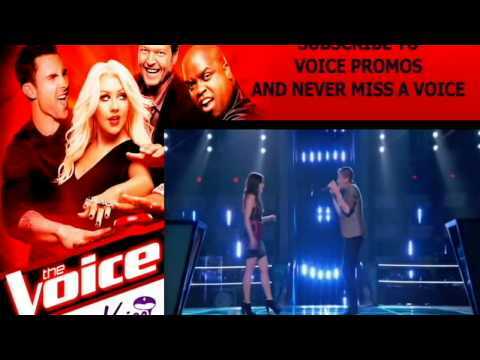 In 2013 I was an artist on NBC's "The Voice" making it to the top 20 on Adam Levine's team. Soon after the show, I relocated to Los Angeles where I now work full time in music. I work with some of LA's largest entertainment companies,gigging all over California. I also work in Artist development, session work and songwriting for other artists. I have a strong foundation in vocal technique. I believe in building (or re-building) a healthy foundation of good technique to avoid developing bad habits that could potentially hurt the voice or hinder growth. My voice students should expect to grow with each lesson. I believe ridding the body of tension so that the voice can be free is key. Through teaching healthy habits and technique I believe any singer can uncover their authentic voice. Aside from technical singing, I'm even more interested in you connecting to the song and telling the story in a meaningful, powerful way. I have a wide variety of genres that I work with. I have a particular passion for soul/r&b and pop but I grew up singing everything from country to jazz. I believe that I can help any singer establish good technique, no matter the style. I look forward to working with you and making you an better singer! The mission of Boston Singers' Resource is to support and strengthen the New England singing community by providing services and a centralized resource for singers, vocal organizations, and others who are interested in singing. Greylyn makes you feel super comfortable in her lessons. She uses analogies and physical movements to help you understand what’s going on inside the body.